Use your CompactFlash memory card as an IDE drive with this IDE to CF Adapter! 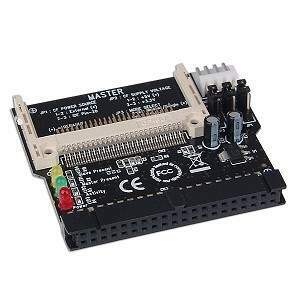 Key features include a 40-pin IDE connector, supports DMA & Direct Insertion and is fully compatible with CompactFlash Type I/II and Microdrive memory cards! Create your own Internal Flash Drive. Great for backup and Hi Speed Access.